Rabbi Nahman of Breslov taught that it is best to pray with the simplicity of a child; talking to God as if He were your best friend. But what about praying alongside your neighbors as if they were your friends, with the ease of children on the playground? These ideas of simplicity and kinship in prayer are being utilized in Jerusalem on a monthly basis by Praying Together in Jerusalem, a group co-founded by Peta Jones Pellach of the Elijah Interfaith Institute and Russell McDougall, rector at the Tantur Ecumenical Institute. 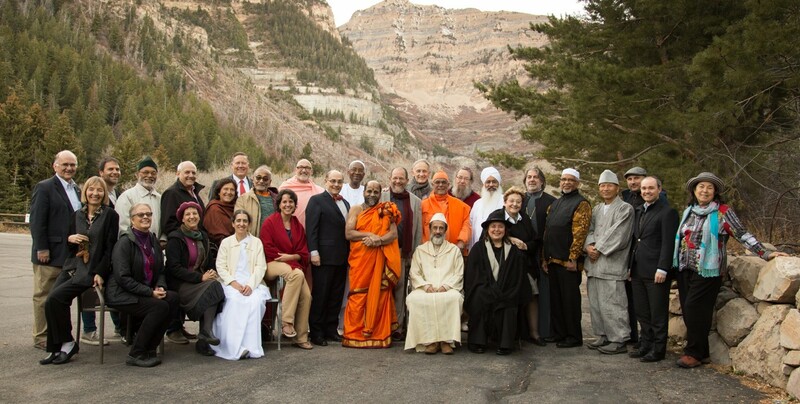 Discussions on where the ideal place would be to hold such an interfaith prayer group quickly followed, with a plethora of potential locations. The goal was to find neutral ground. The City Hall was dismissed, and Tzahal Square had military symbolism. Several other Jewish and Muslim venues were considered, but ultimately, Pellach and McDougall settled on the Jaffa Gate as the location for the first gathering in October. “We chose October to begin the monthly Praying Together events, not knowing that it would be such a violent month. One Muslim did come to that first gathering. We’re now on our sixth meet-up, and on the average, we get about 40 Christians and 20 Jews,” Pellach added. The sixth and most recent Praying Together event, held on May 9, was the first to bring a sizable Muslim attendance. 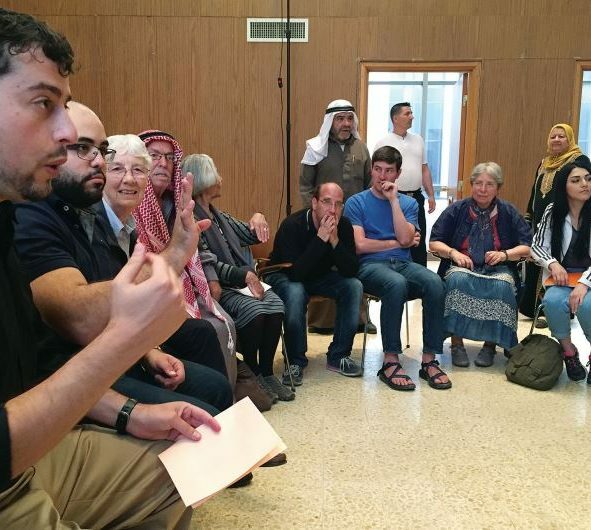 The event was held at Tantur Ecumenical Institute, which served as a safe space for Muslim participants, who came by bus from Nablus, Husan (a village next to Beitar Illit), Jericho, and Beit Hanina in east Jerusalem. It was a significant improvement upon past events, and no small feat to coordinate, as entry permits had to be secured by McLean for the Palestinian participants and coordinators, a process which takes about two weeks. McLean added, “The challenge now is outreach to Israeli Jews to get them to join these events, and have it not be only liberal Jewish Anglos. Praying Together events are in three parts: learning from each other in groups, praying alongside one another, and then in the final holy act, eating together. The May 9 event began with Pellach sharing a line from last week’s Torah portion that is also found in the Koran, “Love your neighbor as yourself.” Pellach shared that in her mind it was divine providence that the passage had such resonance with Praying Together’s ideology. Immediately following this introduction, smaller groups were formed and the question “What does prayer mean to you?” went around the different circles. It was a fitting query to segue into a beautiful evening prayer service, where the Christian group, praying from a text compiled specially for the event by McDougall, stood alongside the Jewish group, who recited the afternoon and evening prayers, alongside the Muslim group, who prayed facing Mecca. The room during prayer time was full of different voices and language, each loud enough to be heard, but not overpowering one another; an interfaith symphony. “Our hope is that the three members of the Abrahamic family can pray alongside one another.” McDougall summarized. This article first appeared in the Jerusalem Post, on May 19, 2016.